Our Remodel Project at 560 Rhode Island Street in San Francisco is Almost Finished! We pleased to be seeing lots of progress on our remodel project at 560 Rhode Island in San Francisco. It’s always exciting to see our architecture designs come to life! Below are some sneak preview photos of construction that begin to show how elements of this design will look when complete. Enjoy! 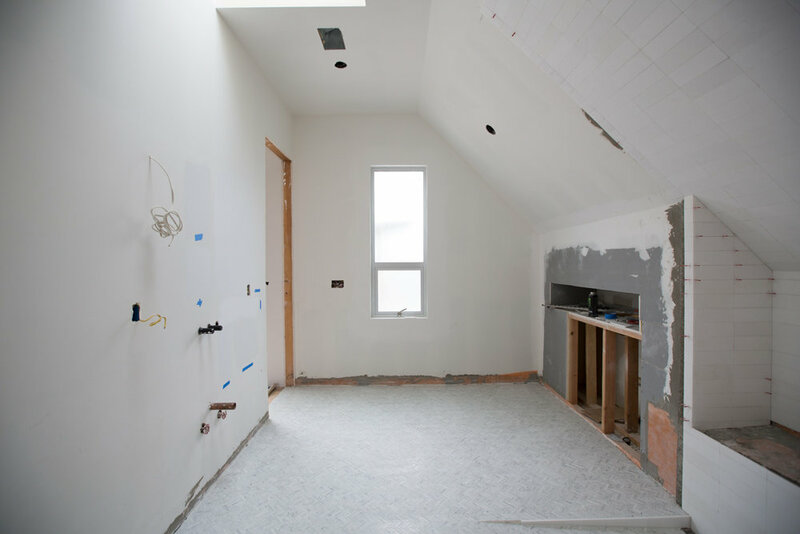 Volume 21 Office for Architecture is proud to announce that our remodel project for a home on Rhode Island Street in San Francisco’s Potrero Hill is under construction! We are expanding the house into the rear yard and excavating 17 feet down to provide a below grade walk out terrace open to the sky, an enlarged garage and studio/family room. 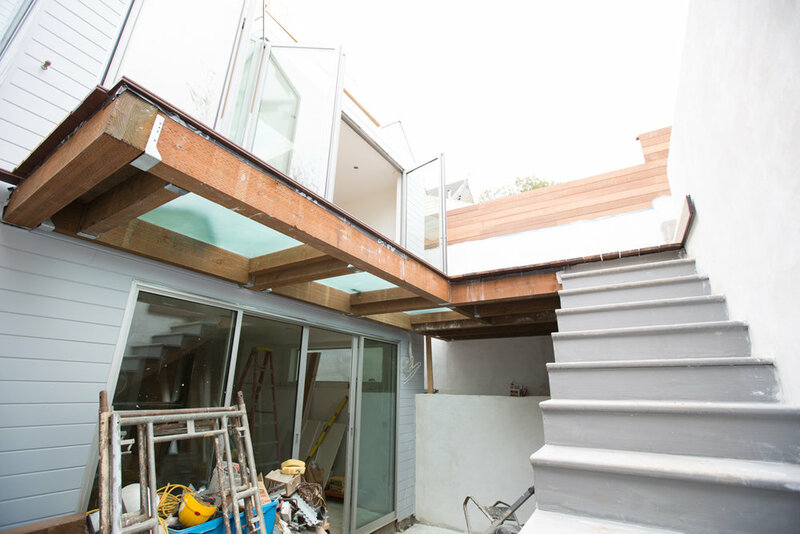 Translucent walkable skylights built into the decks bring sunlight into the living & family rooms below. The back wall of the house consists of a floor-to-ceiling folding glass wall. The framing for both the skylight and folding wall can be seen in the images. More images to come! Contact us to discover how Volume 21 can transform your home or commercial building into an extraordinary environment. Latest news on architecture, Volume 21 Architecture building projects, architectural theory, and other cool stuff in the San Francisco Bay Area and beyond. Subscribe to our newsletter to get our blogs via email. Sign up with your email address to receive our blogs and other news.